So, you have eyes for a Scorpio man, hey? What was it about him that caught your eye? Was it the way he seems to cater to his desires and go after what he wants? Or, was it his clever resourcefulness allowing him to channel his energies to achieve just about any dream he dreams up? Maybe it was his deeply philosophical side or just the amazing intensity in his eyes when he’s passionate about something. Whatever it is, you’ve got it bad and this Scorpio Man has got you hooked! There is no doubt he will keep you hopping – one minute you’ll think you know him well, and the next you’ll wonder, who the heck is that guy? But none of that matters because, at the end of the day, he’s just too adorable to turn aside, right? The question is, can you handle this man’s intensity, his secretive nature, and the times when he’ll drive you crazy? The ruling planet for the Scorpio Man is Mars, in an archaic sense, and Pluto, in more current astrological practices. Mars resonates with animal passion, activity, and action, and the planet has fiery associations that perfectly align with the Scorpio Man’s fiery nature. While the planet Pluto influences those born under this sun sign. The planet’s influence presents itself by giving them a ruthless reputation, intense levels of passion, and a strong will, the Scorpio Man can still be endearing, charming, and wise. In Roman myth, Pluto rules the underworld, which links to deep desires and compulsions, but may also relate to the secretive nature of the Scorpio Man. A Scorpio Man loves deeply. He will remain committed, and he does not take commitment lightly. Once committed, the Scorpio Man, having carefully selected a mate, remains loyal to the bitter end… And bitter and it will be if his spouse is disloyal to him! There is nothing more legendary than the jealousy of a Scorpio man (with the exception “of a woman scorned!”); think about the barbed tail on a scorpion and imagine it being the words and actions of a Scorpio man who’s been crossed, betrayed, or who even suspects infidelity! In terms of an ideal mate the Scorpio man will seek out a female who is well-balanced, down-to-earth, and one who can demonstrate stability. Her friendliness and calm demeanor are a nice contrast to his usual intensity and desire for action. If you want to be with a Scorpio man, you must be his friend, partner and ally. You’ll need to be a pillar of support, whenever he is in need, because the Scorpio man sees the entire world as competition and the last thing he needs is another competitor. Because Scorpios are secretive, it may take a long time to get to know who they are intimately. The woman who decides to take on the Scorpio Man must have the patience of a saint. But, she will find it’s well worth the wait. When a Scorpio man gives his heart he gives it wholly, completely, and without reservation. A more dedicated partner a woman cannot find. As far as sexual encounters go, you can imagine the Scorpio man likes the bedroom to be a bit spicy. You can equate this to the venom in a scorpion’s tail and see just a hint of how it translates to his liking in the bedroom – hot encounters for sure! You’ll want to keep things interesting and feed the sparks of passion by switching things up a bit from time to time. Be sure to keep the Scorpio’s attention and intense concentration on the bedroom activities. It is easy for his mind to wander onto his next goal or achievement. To keep his mind from wandering, lingerie, different settings, and role-play should not be out of the question. Be ready for anything when the Scorpio Man looks to add new things to the bedroom playtime menu! Scorpios love their downtime. It gives them time to contemplate, meditate, and to be their naturally introverted selves, so their home environment is decorated and created to offer a very private but comfortable setting. It’s here, at home, that they can be themselves and do what they do best. Scorpios like to plan and map out their next best achievement. This frees them, so they can once again “transform” when their endeavors leap from the planning stage to successful implementation. The Scorpio will demand total peace as he plans. A warning to family members, roommates, or lovers: If you bring chaotic energies to the home of the Scorpio, you’ll soon find your way back out the door. The home of a Scorpio will have bold, deep, sometimes contrasting colors, with the perfect balance of red and black or white and black. The lighting is usually low to allow for the Scorpio Man to relax in comfort without glaring bright lights in his eyes. His drapes are heavy as his introverted self seeks to keep the external world from entering his domain. This sun sign rules over the reproductive organs, pelvis, and the urinary tract. Scorpios are more likely to suffer from conditions related to the kidneys, liver, and sexual organs. Disorders of the bladder and issues with the skin and infectious eruptions are also common. Scorpios can suffer from skin ulcers, piles, fistulas, carbuncles, boils, abscesses, and general acne eruptions, so a good skin care routine is recommended. Money is a transformative power and therefore holds a major interest for the Scorpio Man. It can be used for the greater good, change, and to control things. The primary interest he has in money will be to use it to manifest his dreams. He is a hard worker who will make enough money to support his needs and live in comfort. He manages money with care because it holds it to be the very key to his dreams and objectives. His fine money management skills and trustworthiness make him exceptional as a corporate manager, stockbroker, lawyer, financial consultant, accountant, and or banker. Scorpios are contradictory creatures. They couldn’t care less what people think but they also want recognition from the world: He will want people to see him as someone who is inspiring and a source of goodness in life. Truly a paradox in every way, this desire is in direct contrast to his naturally introverted side which will cause him to do whatever he can to stay out of the spotlight. Loyalty, loyalty, and more loyalty. If you plan on being friends with a Scorpio man, your loyalty is what he demands from the very few friends he does choose to trust. And, if you earn the trust of a Scorpio, hold onto it dearly for it’s a true treasure indeed. Genuineness and loyalty aren’t something a Scorpio holds dear. If there is ever a time, it comes to question your loyalty Scorpio will easily walk away from the friendship without blinking an eye. He might not even put you on notice! But for your loyalty you’re richly rewarded with a good friend who will always be there when you’re in need. 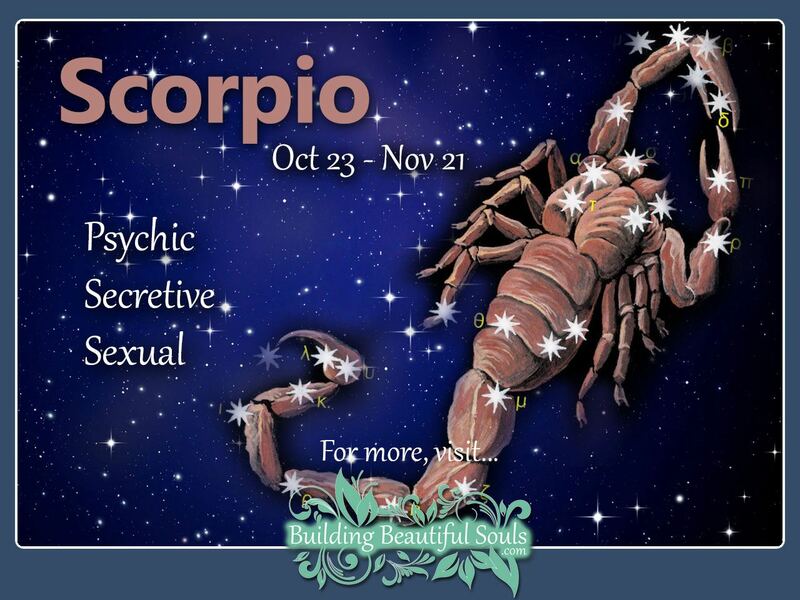 The stubborn, inflexible nature of the Scorpio Man can cause havoc in a household. The havoc arises if he’s not willing to bend and make changes so the household can feel more harmonious. It’s all too easy for some Scorpios to take on the position of an authoritarian dictator. His rigid nature can sometimes make him impossible to talk to; this is not an attribute he develops in his adulthood. In fact, it’s something he carries with him from his childhood. Some Scorpios are more flexible than others, though. Many Scorpio men do have some inflexible attributes they must curb, lest their unwillingness to compromise wreak trouble with relationships. Some Scorpio men managed to form a good team spirit and they bring this spirit into the home. It is this kind of Scorpio who recognizes the benefit of having harmony in the home. The Scorpio Man allows likes to continue to focus on his dreams and goals without having to attempt to fix issues arising at home. A lack of harmonious conditions is not conducive to dream building. The Scorpio man who is willing to listen to the needs of all family members rather than taking on the authoritarian position of “do what I say, because I said it,” will have a far happier home life. The Scorpio man is one who rather live alone than have someone around him who may distract him from following his dreams or attempting to achieve his goals. As a father, the Scorpio Man sets extraordinarily high expectations for the children they have, but also promise amazing childhoods for them as well. He teaches them both respect and discipline early on, and this makes it so there is a clear understanding of just how far the kids can push their father. The children of a Scorpio Man know the boundaries Dad has set. They know the consequences of crossing a very clear and real line. As a child, the Scorpio Man is one who doesn’t make friends very easily, and if fighting with friends, he would just assume cast his friends aside entirely. This same issue can crop up between siblings if there is constant fighting. Finally, the Scorpio spouse is one who will remain loving and committed but will tolerate no level of unfaithfulness. Scorpios are the most compatible with the sign of Cancer and Pisces. With the Pisces and Scorpio match, it brings together two signs ruled by water. This relationship will go nice and easy with the ebb and flow of life. Being of the water element the two really understand one another emotionally. Pisces finds the Scorpio’s sexual nature enticing and Scorpio finds the depth of a Pisces genuine and intense. They are an ideal pairing for long-term commitments, particularly marriage, because their feelings only intensify over the course of time. The Scorpio and Cancer pairing also work well, as the couple has a lot in common. Both sun signs like a good sense of security, and both are dedicated and committed workers who do their absolute best on the job as they seek to excel. The Scorpio Man finds the Cancer insightful, intuitive, passionate, inspirational, and fun, and pretty much appreciates all the Cancer’s attributes, provided the individual keeps a cap on their emotionality. Cancer loves the commitment of the Scorpion male and his dedication to providing the family with a secure, safe place to live. Capricorns can work well with a Scorpio too; if they aren’t too sensitive and they remain flexible. The Cancer partner must remain understanding of the Scorpio’s less likable attributes, like jealousy and stubbornness. Leos tend to clash with Scorpio because there are too many people who want to oversee the relationship! Both sun signs are great at being terrifically stubborn, so arguments are part of the equation. Sexually the pairing is great. The stubborn Taurus and Scorpio could have a lasting relationship. Of Course, that’s if the Scorpio Man is flexible and compromising (a rare creature indeed), and the Taurus can curb their naturally immovable, stubborn nature. Aquarius and Scorpio are a pairing that argues a lot with both signs so stubborn there is no backing down for days or weeks follwing a disagreement! Words fly, hurtful things are said, and then both partners are holding a grudge! Be genuine; this cannot be stressed enough. If a Scorpio even senses you’re not authentic, he will close the door on the relationship permanently. Scorpios are introverted so you’ll need to stand out from the crowd to catch his eye. He is a visual creature with a preference for striking colors, so dressing in an attire that is red, black, and white will catch his attention. Later, adding brown, violet, blue and maroon into the mix will let him feel your earthy, grounded vibes. To keep him interested, make sure you don’t get into any power plays with your Scorpio man. Spend lots of time with him in his home where he feels the safest from worldly intrusions too. Give him space when he requires it, but also be willing to get into deeply intense and philosophical conversations! Being a natural introvert who is all in his head, reading is one of the favorite pastimes of the Scorpio Man. He would just assume disappear in a good book where he can contemplate the underlying themes and symbolism the story presents. Being a thinker, your Scorpio man might also appreciate meditative practices. He likes listening to his favorite music for hours on end. He also enjoys any other hobby he can pursue alone or without having to conform to group participation. Scorpios crave power and therefore find other people’s power cravings sometimes threatening. These men also don’t approve any sort of superficial behavior, particularly flattery used to try to accomplish something or sway a person. A shallow relationship is not something a Scorpio will permit. Being very independent creatures, one of the pet peeves of the Scorpio Man is very clingy or overly dependent mates. One of the best gifts you can give your Scorpio man is one appealing to his desire to read; A few great books will allow him to enter a deeply meditative and analytical state he so loves. Not sure what genre to get… how about a bit of real life or fiction based mystery to appeal to his secretive nature? If you want to expand his reading options, you might consider a Kindle Fire which goes right along perfectly with his desire to read as well as his “fiery” nature! Downtime at home is something the Scorpio loves too, and a little fun at home can be had with a few video games. If he doesn’t have any, and you want to go big with a gift, consider getting him one of the latest gaming consoles. The astrological sign of Scorpio is associated with the Greek myths where the goddess Gaia sends Scorpius, a massively sized scorpion to kill off Orion. However, some associate Scorpios’ transformative attributes to the Phoenix, a creature that transforms only after burning up and rising from its own ashes. The connection is made with the Scorpio Man’s desire for transformation and change. 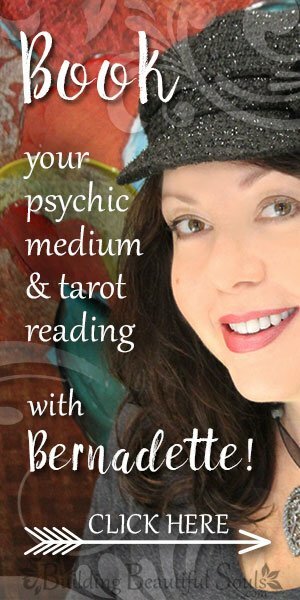 The sign of Scorpio is associated with the Death card in the Tarot. There’s a lot of misconception about the Death card when it comes up in a layout and many people immediately see the card as signifying someone’s death. This, of course, is a misconception perpetuated by television shows and movies presenting the Death card as a dramatic element in a select scene. In truth, when the Death card appears in a layout it signifies either major or minor change and transformation; and this notion of transformation corresponds with the sign Scorpio who is constantly undergoing change and self-transformation. Consider it like this; when something transforms within us something also dies to allow the transformation to take place. Likewise, the caterpillar dies to allow for the butterfly to live. Scorpio corresponds to the number nine which resonates with self-love, mission, destiny, loyalty, discretion, and the visionary. If the energy is negative, it resonates with difficulty concentrating, a lack of focus, lethargy, and an apparent disconnection from the self and/or the external world. In terms of the chakra system, the sign aligns with the solar plexus which rules intellectual understanding, self-confidence, and an intense sense of one’s personal power. When out of balance, this chakra corresponds with fear, judgmental behaviors, and a quick temper. Glyph Meaning: The body of the scorpion with a barbed poisonous tail. Feminine Deities: Athena, Sekhmet, Hel, Freya, and Selket. Masculine Deities: Ares, Apep, and Mars. Oils: Jasmine, ylang ylang, patchouli, sage, clary, and sandalwood. Secondary Colors: Maroon, Blue, Violet, and Brown. Scents: Basil, Cherry blossom, Chrysanthemum, coconut, cypress, pine, rosemary, sandalwood, watermelon, wormwood, and vanilla. Celebrities: Leonardo DiCaprio, Bill Gates, Ryan Gosling, Owen Wilson, and Matthew McConaughey.